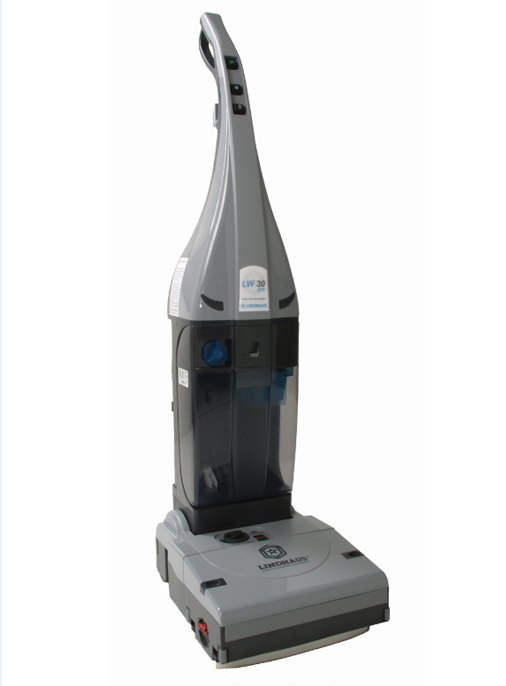 Specialist products cover a whole range of requirements for carpets, upholstery, floors and surface cleaning technologies and maintenance. 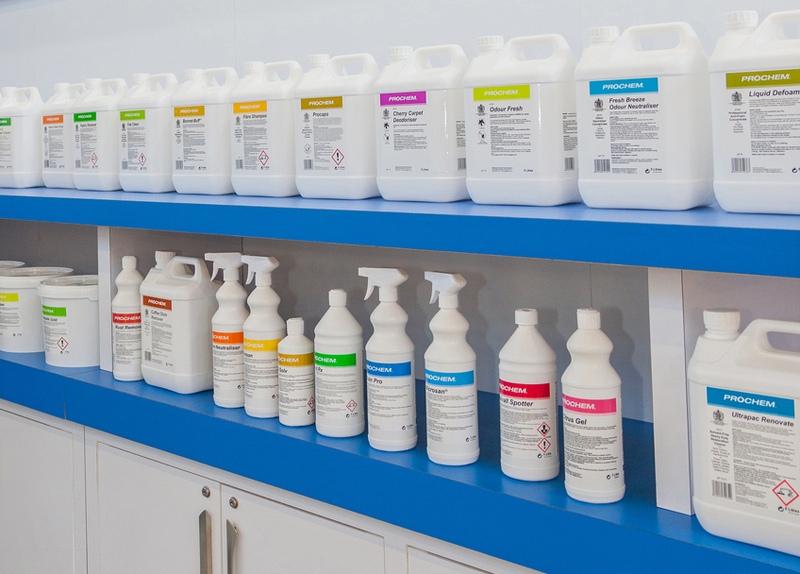 Formulations are developed in-house to meet strict performance, safety, quality and environmental criteria. 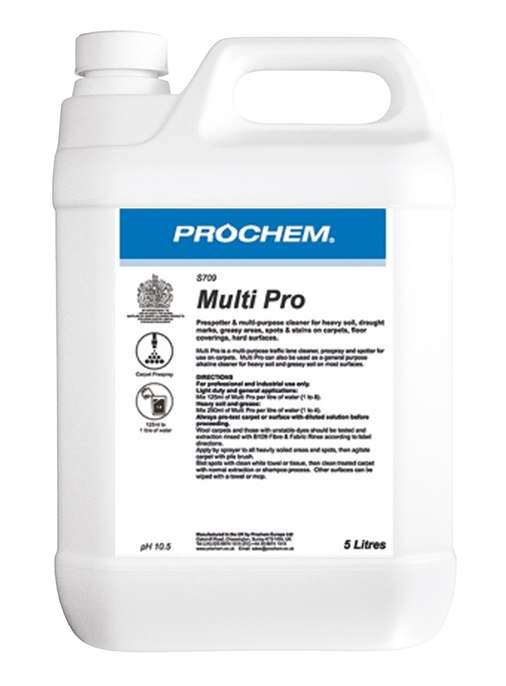 Prochem Europe cleaning products are available from a network of selected distributors offering local supply, advice and training. 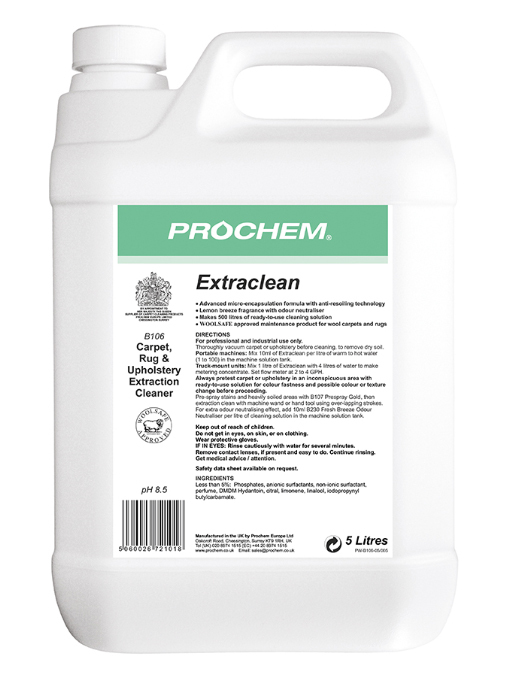 Prochem Europe cleaning products shown on this website are constantly assessed for user safety and environmental impact. 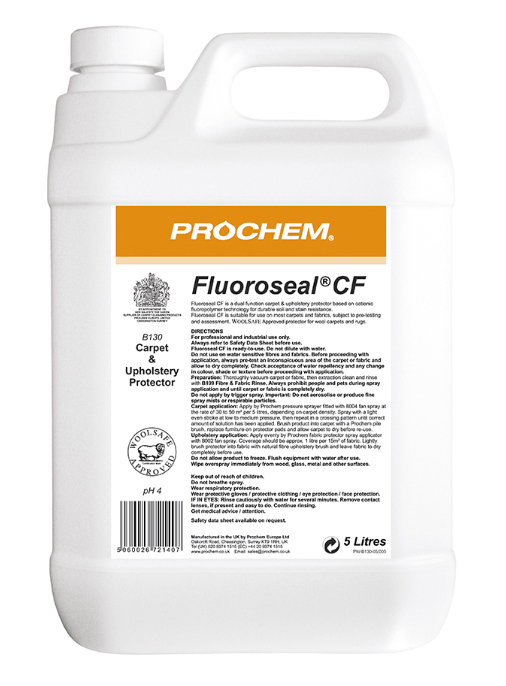 Products comply with the European Classification, Labelling & Packaging (CLP) Regulations 1272/2008. Raw materials comply with the requirements of the Regulation, Evaluation, Authorization and Restriction of Chemicals (REACH) Regulations, as amended. Surfactants comply with the biodegradability requirements of the European Detergent Directive 648/2004. Active ingredients of biocidal products comply with the requirements of the EU Biocidal Products Regulations (BPR) 528/2012. 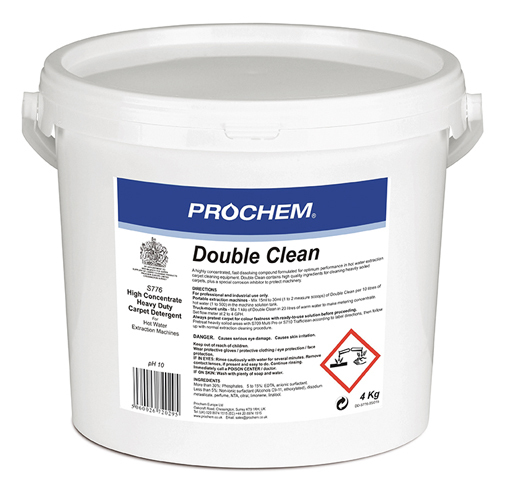 Prochem Europe cleaning products are intended for professional and industrial use only. 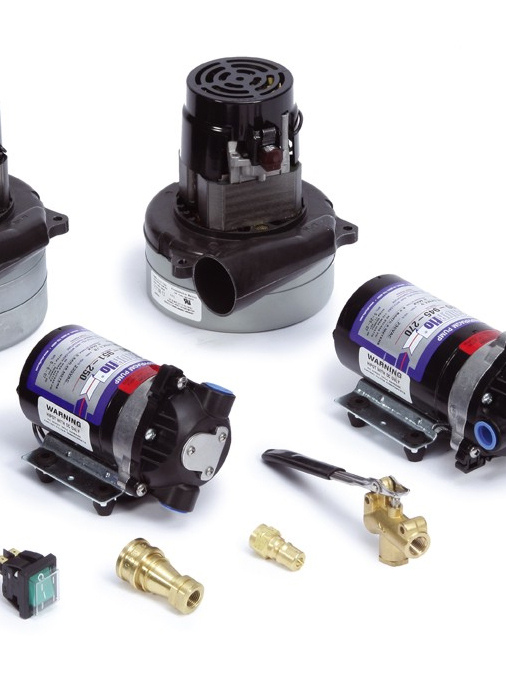 Safety Data Sheets and Product Specification Sheets can be downloaded from each product description page. 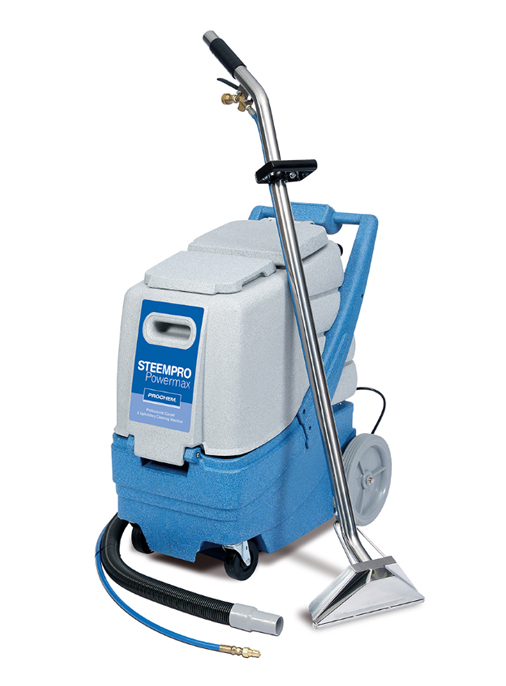 An extensive range of products for carpet maintenance and low moisture cleaning operations. 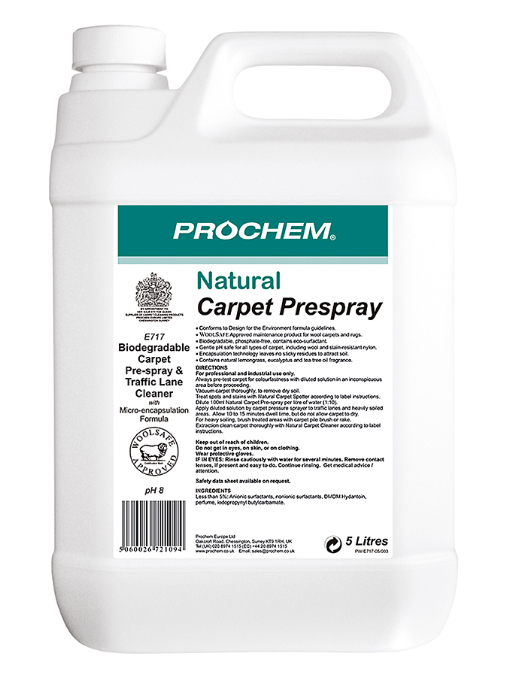 Prochem carpet shampoos and maintenance cleaners incorporate the latest quick drying and anti-resoil chemistry. 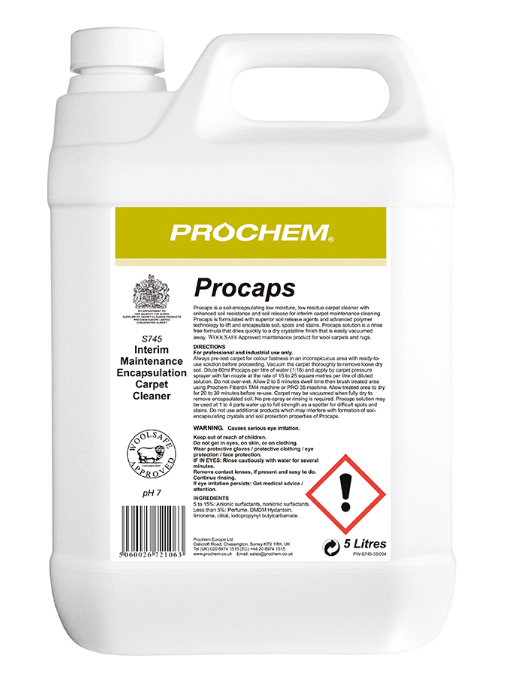 For the most delicate upholstery fabrics and rugs, Prochem’s fine fabric range includes low foam and high foam detergents, rinse agents, solvents and leather care products. 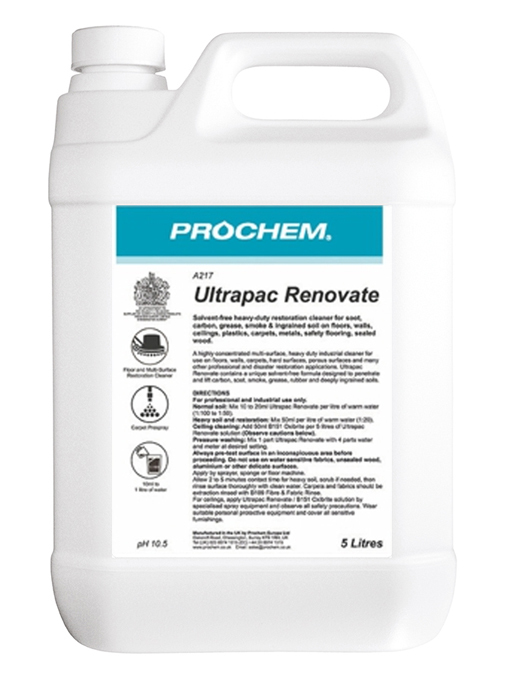 Prochem upholstery cleaning products have been independently tested by a NAMAS accredited laboratory and have been shown not to adversely affect the ignition resistance of flame retarded fabric used as a composite in conjunction with specified foams. 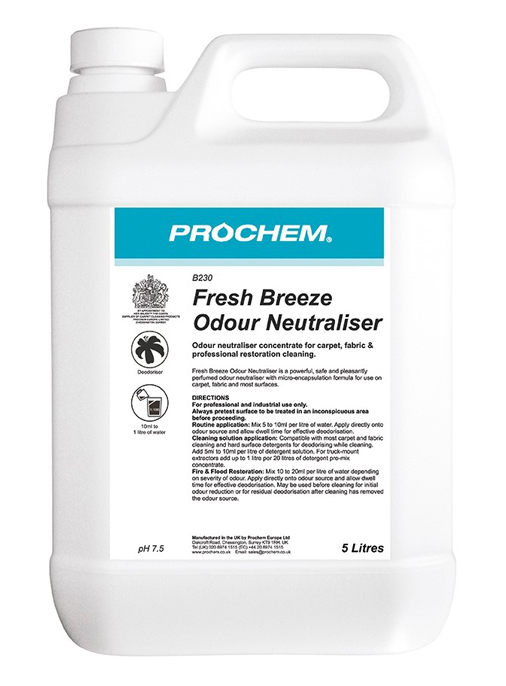 With specialist products for professional deodorisation, the Prochem range is user friendly and highly effective on difficult odours in carpets and fabrics. 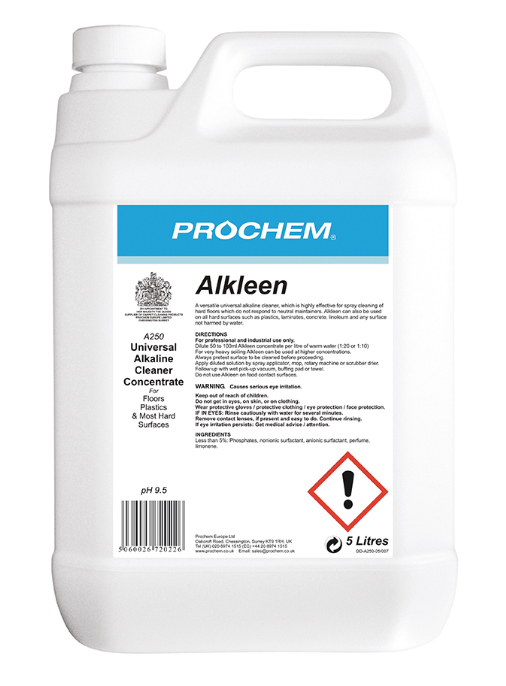 From smoke to urine and general musty odours in carpets and fabrics there is a Prochem deodoriser to solve the problem. Use biocides safely. Always read the label and product information before use. (Applies to Clensan, Microsan and Contract Carpet Sanitiser). 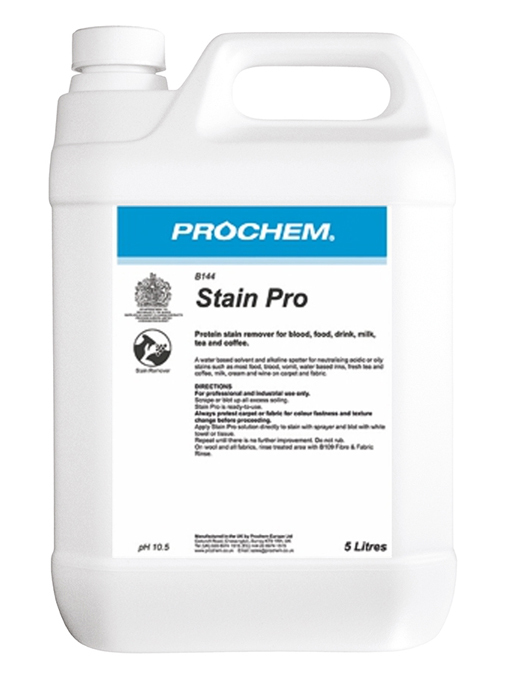 Exclusive protection products to ensure durable soil and stain resistance on new and freshly cleaned carpets and fabrics. 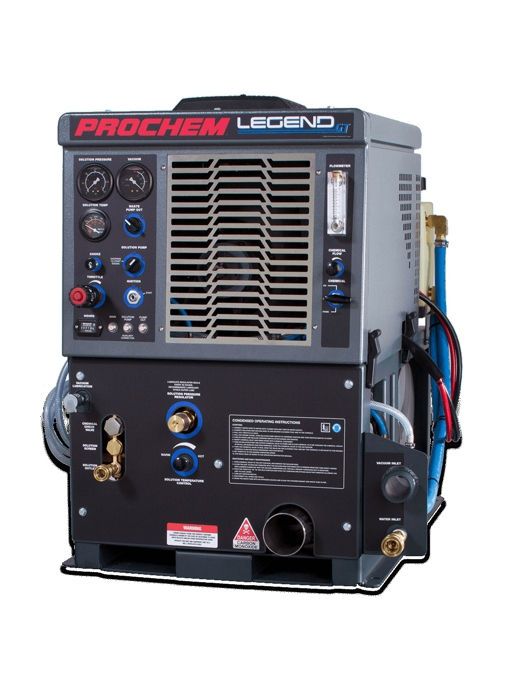 Essential problem solvers for the professional carpet and fabric care specialist. 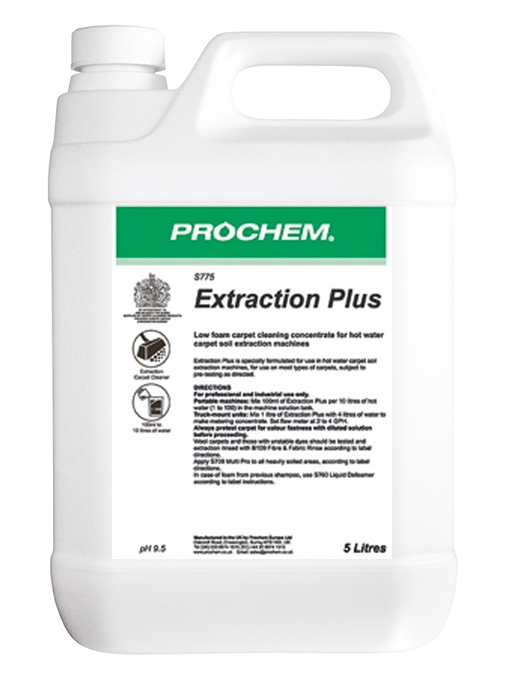 From defoamers to oxidising boosters, solvent additives and debrowning solutions. High performance environmentally safe products with the latest eco surfactant formulations and natural lemongrass, eucalyptus and tea tree signature fragrance.